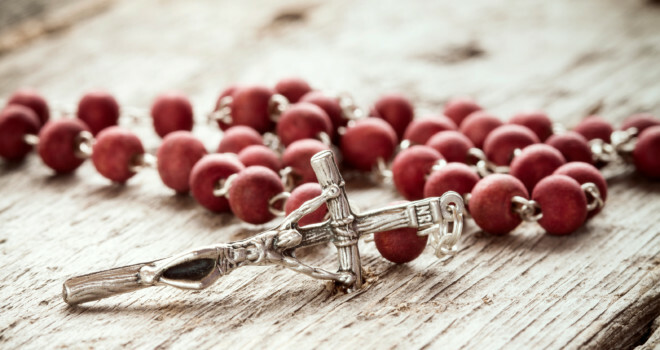 Mary & the Rosary lead Non-denominational pastor: Part 2 of 4 | ADULT CATECHESIS & CHRISTIAN RELIGIOUS LITERACY IN THE ROMAN CATHOLIC TRADITION: hosting ONLY True Christians!! !, or "How to think Catholic!!" -by Anne Barber, Anne was born in Haddonfield, NJ. From age seven, she began traveling the world with her parents, as her father’s jobs with the US government took them to live in Germany, Iran, and Brazil. Later, she received a BS from San Diego State University with a double major: Zoology and Spanish, and received her Juris Doctorate from the University of Miami School of Law. She still holds an active law license in Florida. The same year she entered law school, Anne completed her studies for ordination through the Evangelical Church Alliance. She began leading mission trips to Cuba twice a year for 8 years beginning in 2003, completing a total of 16 trips. In 2004, Anne was one of the founders of My Father’s House, a nondenominational church in Ellenton, FL, and pastored for 12 years. During this time, she was a regular contributor to the clergy column, Faith & Values, in the Bradenton Herald. Her journey into the Catholic Church began in 2016. For the next eight and a half months, I attended two morning Masses each week, followed by my RCIA classes, as well as the Saturday afternoon Mass. I joined the parish, received my own envelopes, and began contributing weekly. 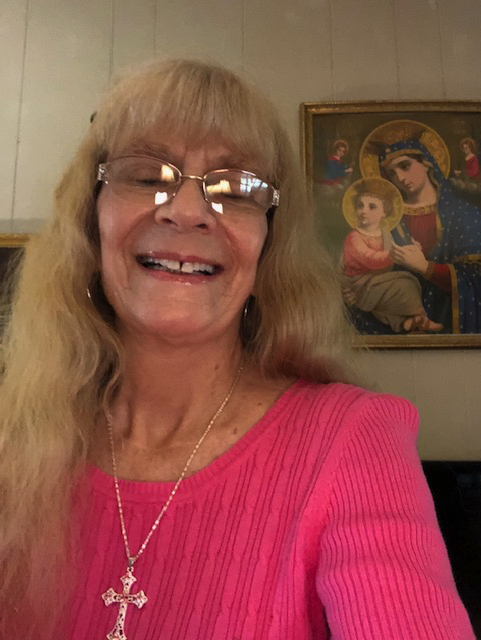 Meantime, at the Catholic church, I experienced profound joy, love, and the same wonder and excitement I had experienced when I met Christ for the first time 40 years prior. Now I was meeting Him anew through Mary. What happiness I felt! No one on the outside could discourage me. The more I attended Mass, and the more people I met, at some point I lost my fear of being recognized as a local pastor, and just let myself become a member of the St. Frances congregation. Within months I knew 25 people by their names. Then, in November of 2016, tragedy struck at St. Frances, with the accidental death of Father David. I had been in his office the Thursday before, then attended his last Mass on the Saturday prior to his death. We had talked for an hour, during which I shared with him my experience of Mary. He agreed to come and preach at My Father’s House in January of 2017. I felt a real kinship with this elderly priest. In his Saturday homily, two days after that conversation, Father David spoke of Christ being crucified between two thieves. He walked back and forth across the sanctuary (altar area) as he spoke, and as I watched him intently, I saw a pink-rimmed aura appear all around him. As he walked, the aura remained with him. The last words of his homily were, “Today you shall be with Me in paradise!” And he gestured broadly to the large crucifix on the wall behind him. When Father David consecrated the Eucharist, I remarked to Georgia, seated next to me, that I felt there was something extremely holy about him that afternoon. When he held up the host, still surrounded by a pink aura, I wished I could take a photograph so that I could try painting it later. Four days after that Mass, our beloved Father David died in a freak accident. I attended his viewing, the vigil, the funeral, and the interment of his ashes. This was now my church, my priest, my sorrowing church family, and I cried with the rest of them. The funeral was unlike any I had ever attended: The Knights of Columbus led the casket down the aisle, and every priest in the diocese who could come was dressed in white, standing in the sanctuary. The bishop looked entirely regal, walking down the center aisle with his crosier (shepherd’s staff) in hand. The shared testimonies from the priests and family members brought both laughter and tears. Finally, it was time to go forward for the Eucharist. I was in the line for the Bishop and was thrilled to receive his blessing. The memory of that funeral stayed with me for weeks. I had never experienced anything like it. There really is nothing quite like the beauty and kindred spirit of the Catholic family. I truly felt that I belonged. I was eagerly looking forward to the evening of the Saturday before Easter, when new converts are received into the Church, and I too could experience my Savior in the Eucharist. Meanwhile, back at My Father’s House, I was busily trying to put things in order so that I could step back from the pulpit. With the church located in a chapel on our farm, it wasn’t easy to find a replacement who would be content to preach in a semi-hidden location down a semi-paved road. Additionally, I was bringing a new perspective to my sermons that I knew the next pastor probably wouldn’t bring. Around this same time, I bought a concrete statue of Mary as a Christmas present for my friend Gloria, bemoaning the fact that I couldn’t have one for myself, as my congregation probably wouldn’t tolerate it. But at the statue store that day I encountered a four-foot stone statue of Mary, Our Lady of Grace, at a greatly reduced price. My husband encouraged me to go ahead and get her. After she was delivered, I put her in the back of the carport so I could paint her without anyone seeing her. I had never painted on concrete before, and it was quite a challenge. But after two months, she was perfect: the snake was an awesome rattlesnake with a nasty green eye, and Mary was painted in gold, brown, and white, with a crown of 12 stars on her head and a rosary in her hand.